If you, or an organization you are a part of, are creating material like this, please bring some to distribute. Who has this been organized with? 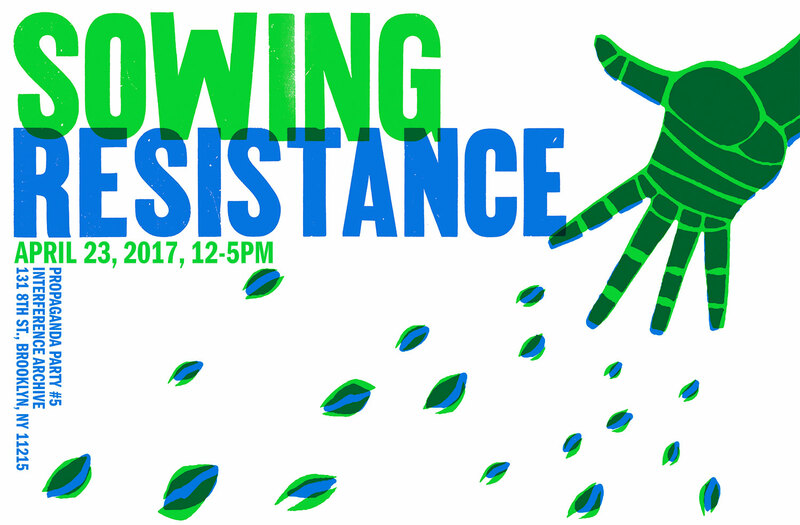 Sowing Resistance has been organized with the following partner organizations: Amplifier Foundation, Kayrock Screenprinting, Print.Organize.Protest, Radio Free Gowanus, Radix Media, Vera List Center for Art and Politics, and Wasp Print. Questions? Email info(at)interferencearchive.org , or visit our website for more details.